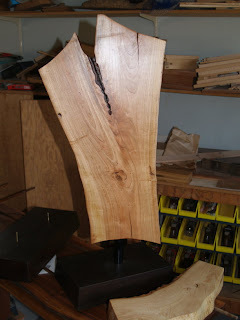 Today I have many new visitors to the blog due to the New York Times Article on woodworking for kids. I put a link in yesterday's post to take readers to some of my published articles and papers on woodworking education. The quote above from Ruskin describes both the intrinsic and extrinsic effects of hands-on learning. 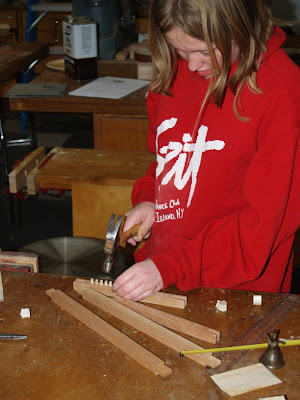 One parent from Clear Spring School had mentioned to me that while many classes may teach students things about the world, woodworking seemed to also teach the child about him or her self. After writing the Wisdom of the Hands blog for about 5 years, I've written thousands of posts, each trying to explain something about the hands. You could spend way too much time and read them all, but you would learn so much more by getting involved in crafts of some kind and leading your own children or grandchildren into that journey with you as your companions. If you are here with more general concerns you might want to acquaint yourself with David Henry Feldman's essay, The Child as Craftsman. It provides insight that should be considered by all those concerned with education reform. Take a straight shaving off a plank. 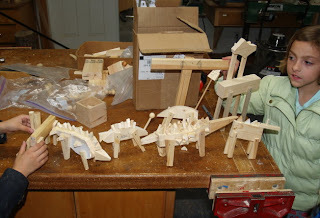 This evening, Julie Scelfo's article about woodworking for kids came out in the New York Times and I've posted a link here, Woodworking Classes for Kids, for my for my regular readers to enjoy. The article may bring new readers to the blog, and if you are here for the first time, I would like to direct you to resources. 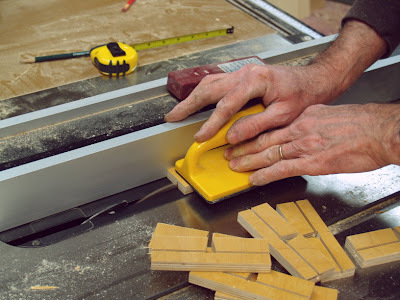 You can find some of my published materials on woodworking education through this blog page, Links to Published Works. 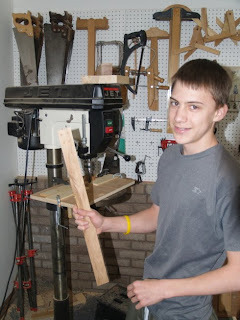 You can also find my article about woodworking with kids at the Fine Woodworking website here. If you are a regular reader, you will have given some thought to the power of hands-on learning in your own life. If you are new here, your own hands extend an invitation to explore your own learning styles and needs. You will notice in your own life that the things you've learned hands-on are best remembered and most deeply acquired. And so the question arises, "If that is so, why would we choose to offer such minimal educational engagement to our children, leaving them bored in school and unacquainted with their own creative power?" Today in the Clear Spring School wood shop, 7th and 8th graders were making their own t-squares and beginning technical drawing, learning to think and express ideas in pictures. I sent my own drawing of educational scaffolding to Jerome Bruner, 95 who was one of the originators of the concept. He told me that drawings are not that useful to him, but he hopes that my sketch of the principle of educational scaffolding will be useful to others. They say that a picture is worth a thousand words, but not all are as comfortable thinking in pictures as some may be, and it is not so much a matter of intellect, but of practice. In the wood shop, I'm using the illustration to invite my 7th and 8th grade students to reflect on their own learning. This afternoon, my first grade woodworking students made looms in preparation for their spring camping trip during which weaving will be one of the camp activities. To you, I renew my invitation, make, fix and create. 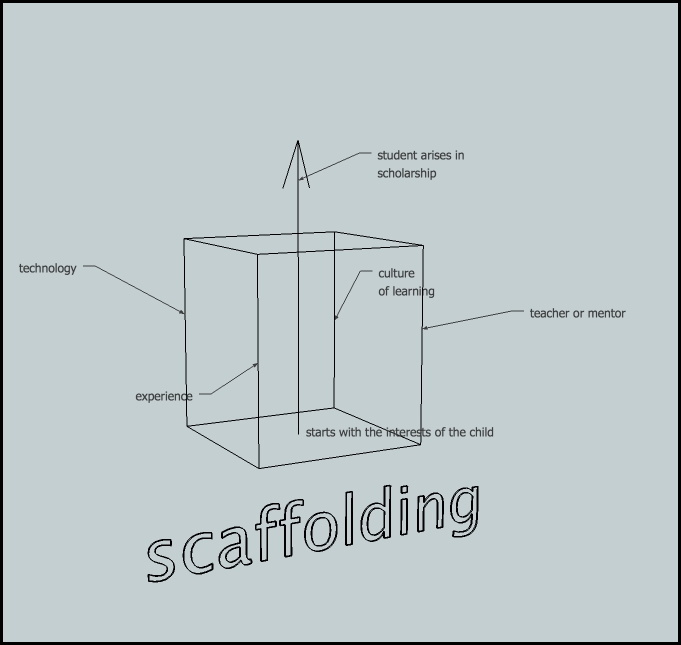 There are two ways that educational scaffolding should be considered. A set of scaffolds can lift a worker to a higher level to perform operations otherwise impossible, but scaffolding can also be used to provide a rigid structure within which a complicated construct can be given shape. Either of these can serve as a metaphor for educational processes. 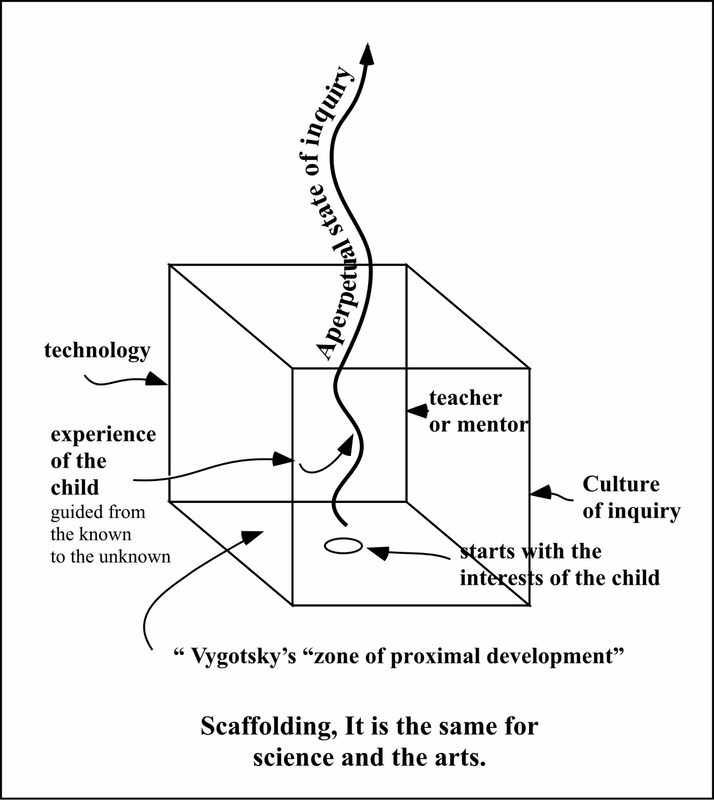 In the case of the latter version of scaffolding, the interior space within the scaffold forms Vygotsky's zone of proximal development. So you can think of scaffolding as a platform upon which to stand in preparation for climbing to the next level, or you can see it as a seamless engagement in lifelong learning. The choice is yours. 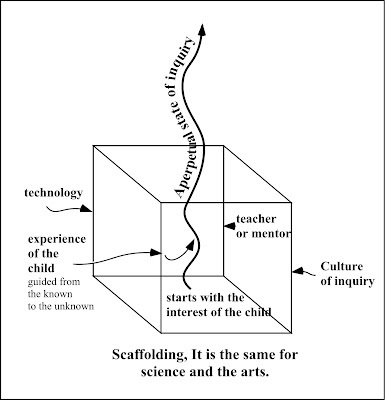 I want to focus this morning on an important part of the scaffold, the leg that I've called "Culture of inquiry" in the illustration below. Inquiry is what drives both artists and scientists forward in their work. To be part of a culture of inquiry further enables the individual inquiry of lifelong learners. A chemist in his work may seek an understanding of chemical reactions in the laboratory. A botanist may attempt to locate and identify rare and endangered plants. An artist may be examining the juxtaposition of colors and forms. The process is the same testing of hypothesis in each and every case, and to see arts and science as estranged in American education is absurd. 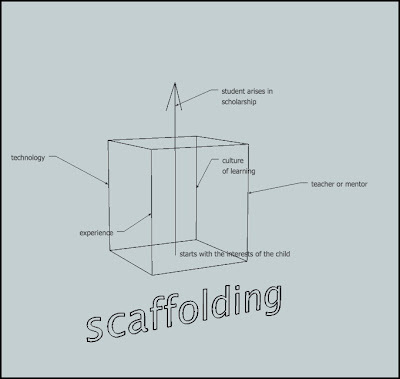 In naming that particular leg of the scaffold, I was deliberate in not naming it culture of "learning," because learning covers less precise territory. You can learn and remember facts as they are presented, and memorize them without question, accepting dogma, the death of real learning, the expulsion of science and stagnation in the arts. The culture of inquiry is more direct, lasers into specific points, and extends more widely and well beyond the school walls. This morning, a group of educators from the University of Arkansas will visit Clear Spring School. They are a group whose mission is to explore the value of arts integration, and they want to see visit schools demonstrating successful arts integration. I've told them that our mission is not integration of the arts, but rather, integration of the hands. If you know about the hands, you'll know that the hands question everything. The hands are not only seeking the truth, but when engaged have the capacity of finding it. This small group of educators will seek the truth of Clear Spring School, and by being here with us, will find an important ingredient for restoring and renewing American education. Fingers are crossed. It seems an important message has been received and understood at the top of the US government as described in an article President Obama stresses on education beyond tests "An excessive focus on tests within schools could actually make students lose interest in education and teach them less about the things that are important," says President Barack Obama. Now let's hope he does something about what he has observed. "All you're learning about is how to fill out a little bubble on an exam and little tricks that you need to do in order to take a test and that's not going to make education interesting," said the president, adding that it was unlikely that young people would do well in something that they find boring. Haven't we been saying that? Obama also advocates more technology. But if there's technology needed, you can find little of greater educational value than the standard tools you'll find in wood shop. Woodworking builds both character and intellect, and the widely acknowledged American educational decline roughly correlates with the decline of wood shop and the arts in American schools. In the meantime, Obama and his department of education may be working at cross purposes, with him asking for less testing and the department asking for more and more. To lead, you do have to get out front with your objectives. My readers in New York should plan to pick up a paper on Thursday and should look in the Homes Section for an article on woodworking for kids. Update. We had a great visit with folks from the U of A. The first, second and third grade class was set up as a dinosaur museum and the students were docents explaining their work and their discoveries. Who could not be impressed by such educational enthusiasm? We in turn were equally impressed with our guests. Education in America is a thing we care deeply about, and to spend time with friends who share a commitment to the arts in education is always a powerful event. I extend my most sincere gratitude for the opportunity to share the wonders of Clear Spring School and hands-on learning. I know this may be boring to some, but I am still working on the sketch of the concept of scaffolding, and needed to add one more point, that of what Vygotsky's 1978 concept, "zpd" or zone of proximal development, "the zone of activity in which a person can produce with assistance what they cannot produce alone (or can only produce with difficulty)." My own zones of proximal development become clear in a variety of areas in my life. On the internet, I am dependent on my computer, my wireless internet server, the vast array of network connections, and the whole range of service providers that take what I type and share it with you. 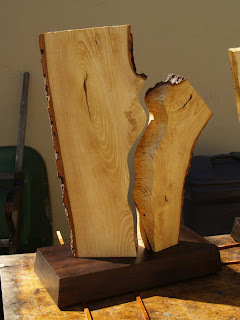 In my woodshop, I have tools, materials, and space which in association with what I've learned and the skills I've garnered allow me to make what I make. In schools, you can see that the zpd of students is only partly what comes from within the child. As a pottery student in 1974, I knew that there were things that I could do at school with clay and firing equipment provided that could only be done outside of school after overcoming a mountain of resistance, that of acquiring those materials and equipment, along with even greater expertise to manage them. 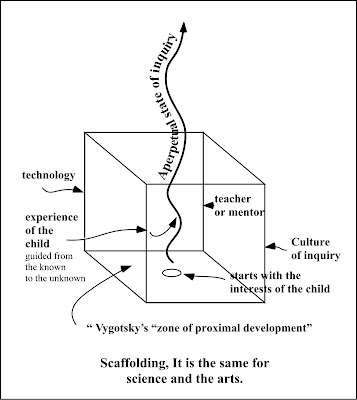 Vygotsky's zone of proximal development is the space noted within the scaffold, the circumstances provided by technology, mentoring, the child's prior experience and the culture of inquiry, supporting learning and growth. 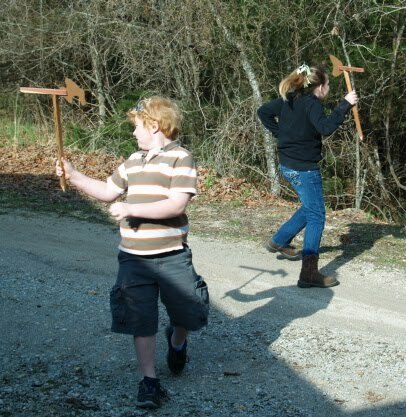 Today in the Clear Spring School wood shop, the 4th, 5th and 6th grade students made weather vanes. When they were complete, of course the children needed to run and test them in the wind outside the wood shop as shown.The high school students helped me to clean the wood shop to prepare for visitors from the University of Arkansas and began work on business card holders as an economics exercise. All Hands is the sailor's cry to bring all able bodied seamen on deck to meet the immediate needs of the ship. It is not the cry for idlers and stand-abouts, but states the necessity for immediate action. American education has been heading for shoal waters for some time. The crisis in education is not new. But, as stiff winds of international competition are driving us to an unwelcoming shore, the cry, "All Hands," is never more appropriate than now. In sailor parlance, the hands are not merely objects dangling loosely at the ends of tattooed arms but serve as a metaphor for the whole man, with all his attention, his training, his skill and best efforts applied. It may seem odd that each of us have experienced learning something hands-on but then commence to ignore the power of hands-on learning for our kids. From our own personal experience we know that we learn more quickly, more deeply, more effectively, and to greater long-term effect when our hands are engaged in learning. In learning hands-on we practice and apply ourselves and all of our attentions more fully, and yet, we seem to find no reason for our children's educations to be hands-on, no reason to provide them with the actual experiences they need for the practice and development of their own powers. When we fully understand the value of hands-on learning, we understand the rationale for the arts, for wood shop, for athletics, for laboratory science, and all those things that schools have been dropping from unwary hands like hot cakes. Schools should be no place for idlers and stand-abouts. I make the call, All hands. If you'd like a simple formula for the restoration of American education, put hands to work in learning. Restore the arts and manual arts to American education. It won't happen easy and it won't happen quick. First step is to make a commitment to hands-on learning. Set it as your goal. You will witness a rise in interest, a rise in passionate student engagement. Among early educators, particularly those infected with intellectual smuggery, there were thoughts that skill with the hands was the gift that God gave to those who had not received the many blessings of intellectual capacity. What a crock of flaming crap that is. Skilled hands and intellectual capacity are not an either/or proposition. Both come with work, both come with practice. And each has the potential of augmenting and enhancing the powers of the other. The motto at MIT, after all, is Mens et Manus (Mind and Hand). Get the point? I have further refined my illustration of the principle of scaffolding, and its application to both science and the arts. You can download a report Arts education in America: What the declines mean for arts participation, here, documenting the steady decline of the arts in schools. The arts are what make learning relevant in the lives of children. The arts are what lure parents to participation is schools through their children's performances. The report shows that while the decline in arts opportunities and participation has been worst for the poor and minorities, the measured decline is true for all children in the US. That decline has had tragic effect on our nation's schools, which are widely considered to be in a state of crisis. I've modified the scaffolding drawing slightly to show the relationship between the child's experience and the sloyd principle of movement of attention from the known to the unknown, which is not a static relationship but dynamic, continuously unfolding and made new. 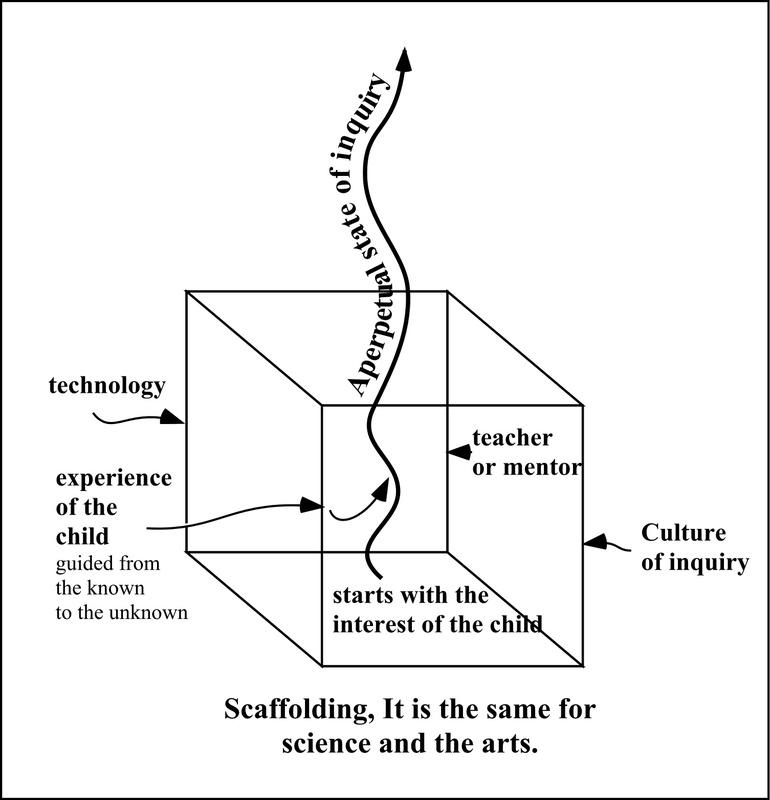 The arts are not just the arts, but form the 4th leg of the scaffold by providing the core of the child's experience. You cannot successfully whittle a stick without becoming engaged in the close and direct observation of physical reality, and thus crafts, are at the core of science and scientific process. Each and every manipulation of material reality offers the potential for the engagement in scientific method. One of the first publications of the London Royal Society was Joseph Moxon's Mechanick Exercises, his so called Book of Trades, providing those who launched the scientific revolution an understanding of how tradesmen shaped physical reality into useful form, thus providing early scientists the necessary means to create the tools of scientific investigation. 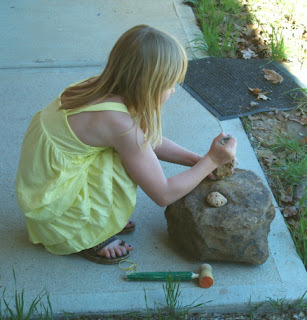 The integration of children into crafts is their foundation in science. And what is it about that simple thing that our educational administrators and politicians seem to not understand? A small but growing body of research has shown that arts education is associated with the development of dispositions and inclinations that scaffold learning in general, reaching well beyond the arts to a broad range of positive cognitive, social, and emotional outcomes. Some studies have found that arts learning has a more significant effect on low-income student achievement than it does on the academic performance of more privileged students, and that arts education is an effective pathway to deeper engagement and success in school for students who are at the greatest risk of academic failure. Some research has shown that arts education can have significant influence on student achievement, even when measured by the narrow standard of improving test scores. Please let me know if any of this is useful to you. Make, fix and create. DIY/TIY. Your children will most likely not get the arts and crafts they need in their schooling. Yesterday I made a presentation to the CSS high school economics class to offer an overview of self-employment. Today I am shipping work to a gallery and helping to design a product for the economics class to make and sell as a means of making their lessons hands-on. If one leg of the scaffold is technology, the tools available for the child to advance learning, and another leg the teacher or mentor, in position to support and encourage growth, the third is that of the school culture. The culture of a school either supports independent inquiry, or not. An atmosphere of inquiry in which each child is encouraged to reflect on ideas, and form opinions of his or her own, and then test those ideas in physical and cultural reality is essential for learning at its most efficient and engaging levels. If our hopes for our children are that they become life-long learners, the commencement of inquiry and investigation are essential to their success. If you read here very long you will discover that I repeat myself. Sorry. But it seems that most people at some point in their lives or after they are done with their lives are remembered for simple reductionist formulas that few others may fully understand. I asked my 7th and 8th grade students if they knew who Albert Einstein was. One said, E=MC² but couldn't explain the theory, and another said, "wild hair." And so it is. When I'm gone, and have been sifted down to a few particles of bone and ash, I hope just a few will remember the strategic implementation of the hands... And so I keep repeating a few things to hone the edge of my chisel, that it may be brought to a very sharp point and cut clean and deep into the wood. An atmosphere of inquiry is not the point of most schooling. There is a current political debate on whether or not evolution or creationism should be taught in schools. But teaching of dogma is a hollow mockery of the atmosphere of discovery that our children need in order to become creative problem solvers in the coming age. And so I repeat, once again, the words of Charles H. Hamm, Mind and Hand, 1886, on the role of the hands in the process of discovery. The following video is long but useful in terms of a conversation from earlier in the week on the importance of making mistakes. A culture of inquiry and investigation provides the opportunity to make mistakes and learn from them. 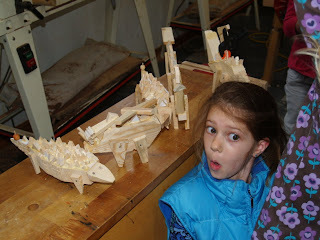 Yesterday, we made rock hound tools in the Clear Spring School wood shop. Tools and technology form one leg of the scaffold used to lift children to a higher level of learning. Today at CSS I'll make a presentation to the high school economics class on what it means to be self-employed as an artist or crafts-person, and what that means in relation to what's happening in the world. One of the jobs of the second leg of the scaffold, that of being a teacher/mentor is to offer a time-line and help students put their own lives and aspirations into perspective. "Yes, here are these tools, and here are a few of the many things you can do with them." In this case, I can use my own experience as an entry point for the discussion of economics. At Clear Spring School, we are preparing for guests from the University of Arkansas to visit on Tuesday. I am in the process of cleaning the wood shop, and preparing for next week's classes. Clear Spring School was established in 1974 to explore progressive educational techniques. As mainstream education went one way, Clear Spring has held resolutely to the other. Now with education being at a widely acknowledged crisis point, we are hoping to take part in a wider conversation about how the hands take part in learning, and how strategic engagement of the hands can be the building block for greater school success. 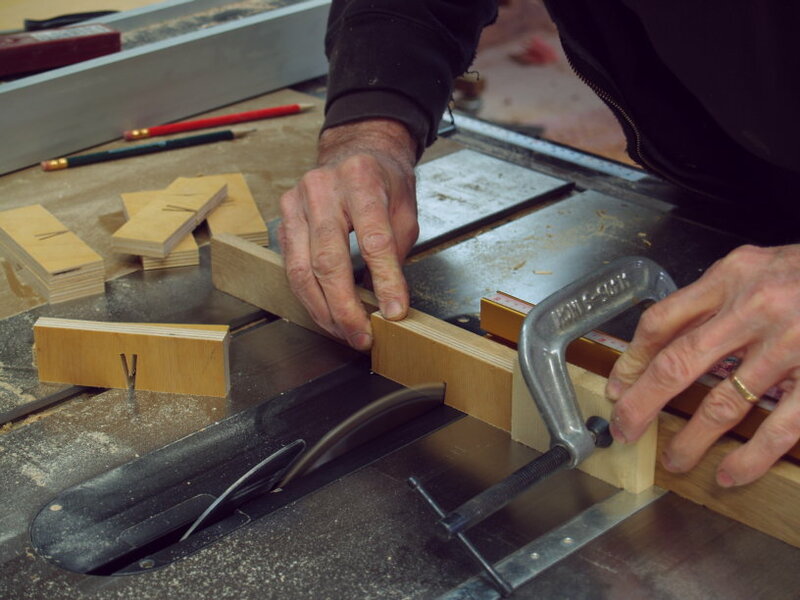 When I first became a craftsman, I had known only one role model for what a craftsman was and how intelligent work with the hands might give greater meaning in one's life. Now, perhaps one small school can make a difference. Make, fix and create. The richness of our children's lives depends upon it. Today in the CSS woodshop, first, second and third grade woodworking scholars made rock hound tools, consisting of small wooden mallets and chisels. They, as you know, have been making dinosaurs models in wood and paper-mâché, and their teacher has planned an excursion to dig crinoid fossils, for which they needed tools. 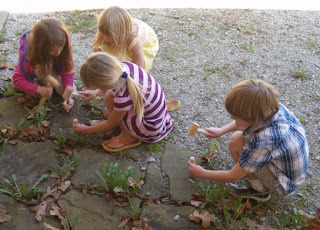 The first graders, having completed their tools, couldn't wait to go exploring, and I suspect this may go on for weeks, now that their eyes have been opened to look at rocks in a whole new way. Crafts are actually the foundation of science, but have been too long ignored in American education. You can't whittle a stick without observing the structural qualities inherent within it, and all science began with the observations of those crafting beautiful and useful objects. By ignoring crafts like woodworking, our children are left less intelligent and less curious about fundamental physical reality, and yet we have some hopes that they may grow up to be engaged in science. Have we become a nation of dummies or what? On the subject of scaffolding, you will note in yesterday's post that technology forms one of the legs of the scaffold lifting the child to a higher level of understanding. Even as simple as these tools are, as technology they support the growth of the children as they use them to investigate physical reality. You could sit at a workstation and never reach the level of interest that these children have for exploration of the school's physical environment. I had planned for the tool making project to last two weeks in the wood shop, but the students pushed to be completed in one day. They wanted to put the tools they had made to immediate use. How can one argue against educational enthusiasm. Make, fix and create. It's catching. 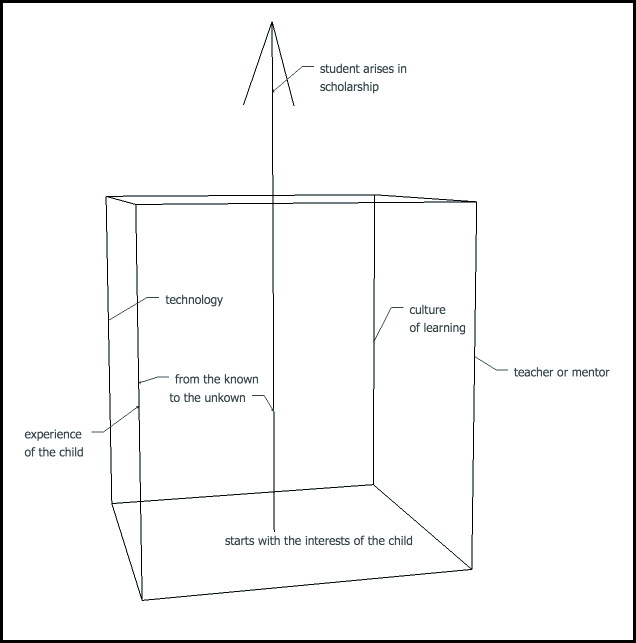 The link above offers an example of how scaffolding is implemented in the classroom. If you are in the building trades you will know that scaffolds are constructed of rigid components to allow workers to safely reach heights beyond the safety of ladders, so you can see that it the idea of scaffolding is an apt metaphor for what we would like to happen in schools. This morning you can join me if you like. What are the components of a successful scaffold? Educational sloyd had offered the idea that education should start with the interests of the child, and if our interest is in launching the child as a confident lifelong learner, one might see that the interests of the child need to be a thread winding like a strand of DNA throughout the learning experience... in other words, that essential thing sustained and protected as a lifeline by the scaffold itself. What you find below is my effort to give it a graphic expression, though I've yet to learn how to create a helix using sketchup software. Of what are the legs of the scaffold constructed? Here is an idea. One leg is experience, what the child already knows. The second leg is technology, as Einstein said, "My pencil and I are smarter than I am." You can think of the computer as the pencil on steroids. 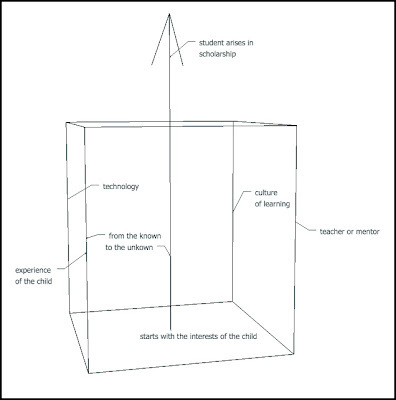 The teacher is challenged to build from the known to the unknown and various levels of technology are "instrumental". The third leg is that of the instructor, teacher, or mentor and his or her own knowledge which is used as an inspiration, challenge and in some cases pry bar to lift the scaffold higher and steady the child's climb. The fourth component has to do with the school culture. Does it support an atmosphere of inquiry, of creativity and creative expression? If we had the fundamental materials of scaffold building on site, what wonders would we behold in American education? Can you see it from where you are? Use scaffolding to get a better view. There are those that think that technology, now being such a powerful tool, deserves to become the primary leg of the scaffold, and that the other legs can be allowed to languish. What do you think? Today in the Clear Spring School classroom, 7th and 8th grade woodworking scholars worked on t-squares for beginning technical drawing. In the photo at left, John has countersunk the holes to attach the arm of the t-square to the head. After posting on the value of making mistakes, it might seem obvious that I myself would be tested shortly there after. For over twenty years, my wife and I have had stained glass panels in our oak front door. The door I made myself, and it was in need of being thoroughly cleaned and refinished. The lovely glass was made by a friend and needed to be removed before the door was taken off the hinges. One panel fell and was shattered. I felt like I'd been hit by a tsunami. It was my own fault, and once shattered there was nothing I could do but gather the remaining parts in hopes that they could be repaired. Two days ago I mentioned the value of forgiveness in relation to errors, mistakes, and accidents. And in the vast scheme of things, to do relatively small damage in relation to all the vast range of worse things available to human beings at all points of the earth, the panel of shattered glass is something that can be made whole. I took it to my friend who made it, even though he is no longer doing stained glass, he said, "yes, I can fix that." While it felt for a time that I had been hit by a tsunami of my own making, having an understanding wife and friends who understand the value of mistakes, and that the connections between us are more important than the things in our lives is a lesson greater than most that we learn from the object world and the opportunities for learned-from mistakes that it offers. Human beings have ways of drawing lessons from the events of our lives. We often learn about what things are important through lessons of forgiveness. Some people argue that schools have done too much to push the sense of self esteem, that it should not be constantly assured like one would regulate the levels of a thermostat. I would say that there needs to be lots of testing and making of things so that things can go wrong, so that we may all learn the lessons that matter most. Schools should be something like real life if we want our children to be attentive within them. There is no better lesson than to be knocked flat by a tsunami of your own making and be picked up by friends. Make, FIX, and create, and be thankful for those around you who sustain your creative spirit. Toysmith, in a comment below offers an article (worth reading) that reflects on error, mistakes, and our humanity in making them. The Wrong Stuff. 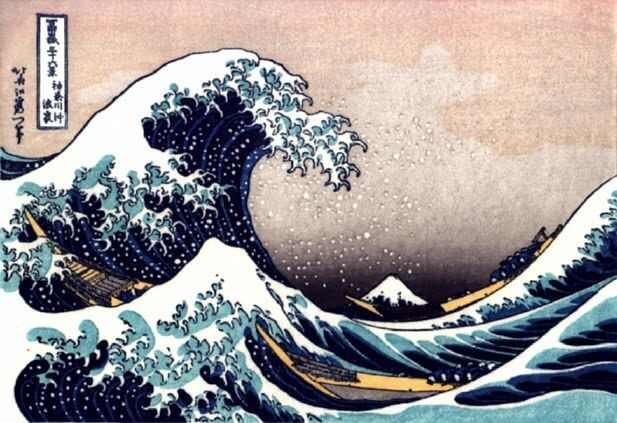 This image is a classic wood block print from Japan illustrating both the horror and awesome beauty of nature. One the one hand, and on the other. You can see the wave from a distance and it looks normal until you see the scale of the boats and the size of Mount Fuji. When I started writing the book, seven years ago, the initials T.M.I. stood for "transmarginal inhibition" or "Texas Military Institute" or "Three Mile Island." I don't need to tell you what TMI means now; every teenager knows. Yet it's a paradox: how can there be too much information when information is what we want, what we value, what we live for? We feel deluged -- unable to process it all, unable to find knowledge. And so, while I've not read the book, you can see that there is a difference between information and knowledge. Schools are really great about pushing information. But where does knowledge come into play? If if there is knowledge, is there also a thing we might aspire to that has been called wisdom? Information can be easily quantified and measured. We make the hollow attempt to do the same thing with knowledge, but wisdom only becomes apparent in the long term. There is no direct scale for its measure. The other day I did a post, Hold with one hand and slice carefully with the other, which is not just about the hands. In fact the brain is also divided left and right but cross laterally, so the right brain controls the left hand and vice versa. And so, while it is popular to think of ourselves as right or left brained, they do work in tandem. I had done an even earlier post about bird brains which can be found here, and which may help you to better understand the essential relationship between left and right. It may also help provide some insight into the tsunami. How can we be so terrified, and yet so enthralled with nature's power? Schools do a very poor job of integrating left and right. Students have bodies that also long to be educated. They have creative, investigatory spirits that long to be set loose on the world, rather than restrained in deluge of TMI. Early educators saw the need to educate the whole child. But it is hard to measure the whole child. We can place performance marks on a wall, and we can compare those makings over the course of our children's lifetimes. But there are things beyond measure that are even more important to our children's success, and we forget that our teachers are teaching those things as well. Make, fix and create. Just as these things will take both hands, they also require both hemispheres of the brain. By turning our schools into workshops and laboratories, we restore their spirit. 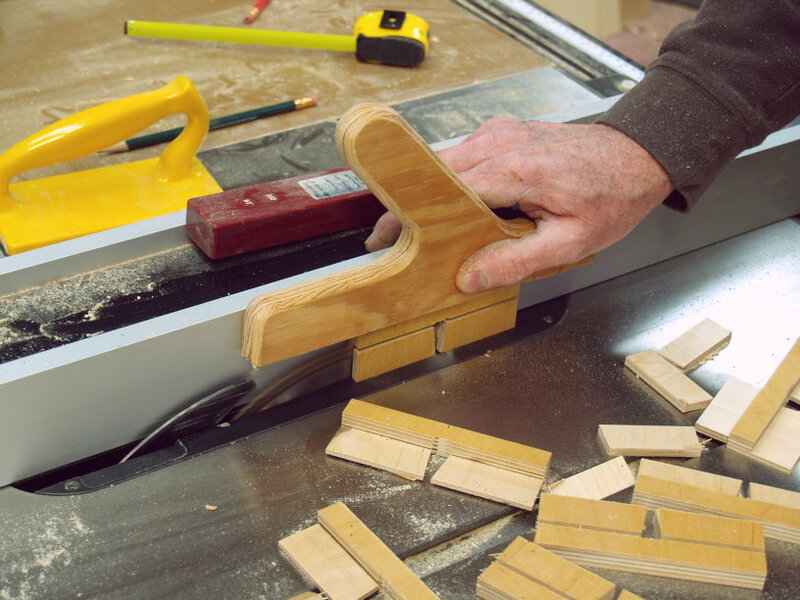 If you have spent any time in the wood shop, you've learned a few things. First, mistakes will undermine your self-esteem if you don't learn to make the best of them. If you've survived your first few weeks trying to make a few things, you've probably learned that we learn best by making a few mistakes along with whatever success we can garner from our experience. 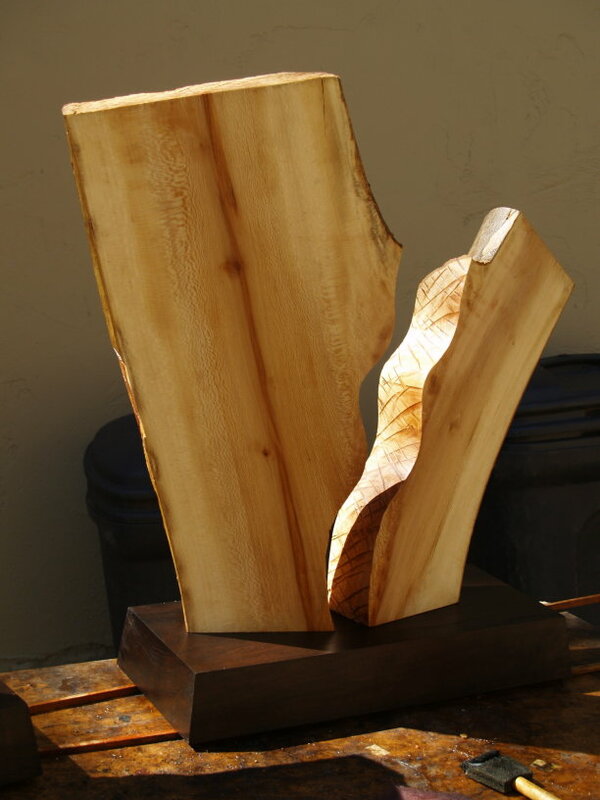 It is humbling, which is why some say that woodworking builds character. It is pretty dang hard for your successes to go to your head, without having first developed the art of self-forgiveness for all those other things that don't quite work out. 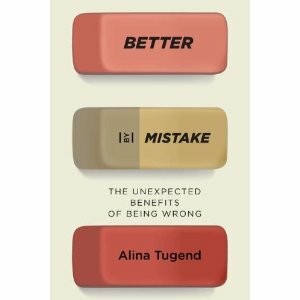 You begin to realize that everything that is, is a mistake, regardless of how successful it may appear at the moment, because something new and improved is streaming down the pike, enhanced by what someone learned by screwing up, reviewing and redoing what they'd done. 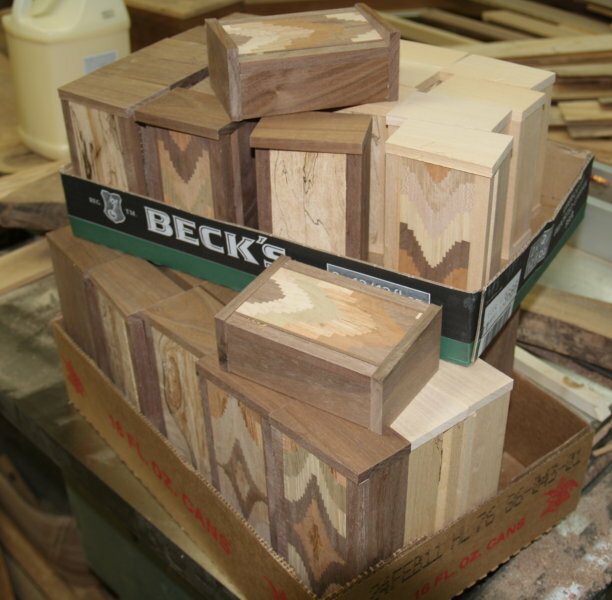 I am at the point now of hinging and assembling the inlaid boxes I am working on in the shop. Making boxes has become such a refined process in my shop, with each process so well rehearsed, that I take comfort in the routine. I am working on 40 boxes at one time, and It is nice to know from my years of making these things that they will be sold and find homes where they will be enjoyed. The making of things over and over again is similar to what a musician does to prepare for a performance. One of the challenges in school is that of helping students to get over the "been there, done that" expectation that everything must be new. Some things we do over and over to get right, and then when we get them right, we attempt to reside at that level of work until the next step in our growth becomes obvious. NPR's program Performance Today has been featuring a series on the Art of Practice, which can be found on the Performance Today Website, and the interviews with musicians about their practice can be found in a column at right on the website. We hear remarkable performances on Performance Today, but so much of a musician's time is spent off-stage, doing something dramatically less glamorous: practicing. The process of doing something over and over again with an aim toward growth, adds rhythm to a person's life, whether you are a musician or not. This morning I had an interview with a reporter from the New York Times wanting to know about woodworking with kids. The article should come out in the Home Section of the New York Times on March 31. There are many things about kids' woodworking that most in the US do not know. One thing may be of particular interest to New Yorkers. The most prestigious university for teachers in the US, Teachers College at Columbia University, was founded to teach teachers how to teach woodworking to kids, as woodworking in schools was seen as a means through which to build intelligence and character in all children. But it seems that since that time, we've forgotten the important role of the hands in learning. The New York Times reporter asked about the origins of the name of my program the Wisdom of the Hands. I explained that it came from a 2000 Stanley Kunitz interview on NPR when he had been named Poet Laureate of the United States. Kunitz had made comment during the interview that poems are "born of the wisdom of the body." I must inform my readers that intelligence is also. The hands are the primary source of human wisdom and what they create is the expression of human intelligence. We have created schools in which we treat the body as an inconvenience, but we had best begin remaking schools and schooling to utilize the ways in which engagement of the body mobilizes the whole child as learner. 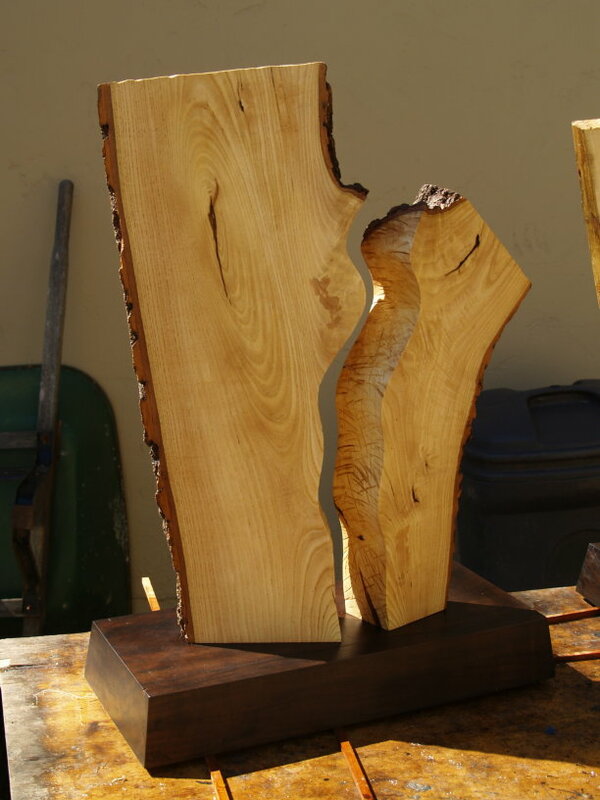 Woodworking is one way to re-engage the body, as it engages all the senses. One would not think that to be a matter difficult for anyone to grasp, but then of course these days some may be completely out of touch. Our teachers are really good. One of the main reasons they are so good is because the teaching profession is one of the most famous careers in Finland, so young people want to become teachers. In Finland, we think that teachers are key for the future and it's a very important profession -- and that's why all of the young, talented people want to become teachers. All of the teacher-training is run by universities in Finland and all students do a five-year master's degree. Because they are studying at the university, teacher education is research-based. Students have a lot of supervised teacher-training during their studies. We have something called "training schools" -- normally next to universities -- where the student teaches and gets feedback from a trained supervisor. Teachers in Finland can choose their own teaching methods and materials. They are experts of their own work and they test their own pupils. I think this is also one of the reasons why teaching is such an attractive profession in Finland because teachers are working like academic experts with their own pupils in schools. Finland was the original home of educational sloyd, and students begin woodworking in Kindergarten. How do I know that? I visited the wood shop in the University of Helsinki where kindergarten teachers are trained. Finnish students begin reading at age 8 and surpass American students in 37% less time, while learning two national languages and English. Rather than trying to test their way to success, the educational system gives the teachers training and trust, and they rise to do their best. Just in case you think I goof off during the day, I've posted a photo above of the boxes I've assembled . Next comes sanding, routing, more sanding and then finish. More than three-quarters of the nation’s public schools could soon be labeled "failing" under the federal No Child Left Behind Act, the Obama administration said Wednesday as it increased efforts to revamp the signature education initiative of President George W. Bush. The projection from Education Secretary Arne Duncan amounted to a declaration that the school-ratings revolution Bush began nearly 10 years ago is itself in jeopardy because the law has become unworkable. President Obama is pushing to loosen accountability rules for most schools but crack down harder on the worst. In other words the strategy of standardized testing our way toward school supremacy is a complete disaster by its own measure. In the meantime, this article is interesting Is Your Baby Computer-Savvy? 80 Percent Are! Then, as a point of further reference, do some of my readers remember the article "Is Google Making Us Stupid?" by Nicholas Carr? If the thrust of technology were to make us really as smart as we think we are when using technology, wouldn't we expect kids, starting on the internet at ages 0-5 in such numbers to be measurably smart in schools? Perhaps Carr is right. Internet technology is not making us as smart as we think we are. I continue to monitor the unfolding tragedy in Japan with a very heavy heart. Today in the wood shop, I'll continue making small boxes. I have a conversation in the afternoon to launch the production of a Small Cabinet Making DVD, and then I need to work on being ready for classes on Monday when the students return from spring break. It is a busy life. I make lots of mistakes. In the wood shop, small errors are often compounded into larger ones, and I learn that my own faulty judgments about the fit of things, and the potential failure of things is human nature. When we, as a nation, or a culture, attempt to do far greater things and more dangerous things without the accompanying remembrance of all the things that can go wrong, we live in arrogance that leads to inevitable disaster. Today, there are brave men in Japan, forming a low-tech line of fire hoses, having taken matters of the meltdown into their own brave hands. My own prayers are in honor of their courage and sacrifice. The term "sustainable development" came from the UN's Bruntlandt Commission of 1987 and was stated as "development that meets the needs of the present without compromising the ability of future generations to meet their own needs." Years ago, people asked me why I chose not to use imported exotic woods. It was because I could not watch them grow and thereby be assured of their future. We must get to the point from which those who consume also make what they consume from renewable resources about which we can be completely assured the use of which will not deprive future generations of their use. With that be painful? Can it be more painful than what the Japanese people already face? Will it require change? Yes. But the changes which will be required are those which build community and create lives of deeper meaning. Make, fix and create.... get in touch with your own sustaining power. In today’s digital marketplace, students of all ages can create experiences tailored just for them. When a teenager searches for movies to watch, an online film site can provide suggestions based on past viewing history. Music lovers can create personalized playlists for everything from a workout in the gym to a study session. And when children play video games, they can choose a variety paths—based on their interests and skill levels—toward slaying a dragon or defeating an enemy. Then many of these same students walk into their classrooms and sit at their desks to absorb one-size-fits-all lessons or, if they’re lucky, instruction aimed at the high-, mid-, or low-level learner. And in many cases, there is little, if any, technology integrated into those lessons. In some pockets around the country, though, educators and schools are turning to technology and different teaching and learning approaches to give students a personalized learning experience that mirrors the customized experiences they take for granted in their lives outside of school. That is a pretty compelling image. Instead of children being bored in school, or lost in lessons over their heads, appropriate challenge is delivered at a pace consistent with the child's ability to learn. OK, I'm almost sold. Sounds great on paper. It seems completely new technologies are most easily adopted by the young. Hand a child your new iPhone and he or she will know more about it in the next ten minutes than you might discover in the first hour. And so what relationship do teachers have in the new schooling? Is there a place for maturity, and long range view? Is there a place for beauty and skill? Will there be mentors showing what you can actually accomplish by directing the application of technology with depth of insight toward significant objectives? Maybe so, or at least we can hope. In the meantime it seems that many schools are trying to push older teachers out of the way to make room for a new generation of teachers more fluent in new technologies. There are some rules based human procedures that can be easily and effectively applied through technology. It is faster for a computer to do algebra or calculus than for a human being to do so. A word processor can check your spelling as you type, correct your punctuation, and suggest alternate words and phrasing. An accountant in another country, speaking another native language can do your taxes just as effectively as one in the US because he or she would be following the same rules and inputting the data in the same form. But what part will creativity play in schooling? I hope that as we continue our mindless rush into new technologies (that I am not opposed to) we remember a few things. First is that the hands, applied through lessons in real life offer greater meaning than just the eyes, ears and mind alone. Second, our children need to be exposed to a full range of tools, that allow them to bring their ideas into concrete reality and build on the foundation of human culture. And third, the development of technology is a vector, with each level built on the foundation of past technologies. To understand technology and its full effect and value requires that we understand the whole of it, from the most simple to complex. By understanding the hammer as well as the most fascinating new technology gives one power and control over our own shared destiny. With a simple tool like a hammer or screwdriver, a man or woman can express his or her mastery over technology even in the most desperate of situations. If this subject in of interest to you, you might enjoy an earlier post, Preservation and transmission of human culture. Make, fix and create... We will never fully outgrow our need for reality. 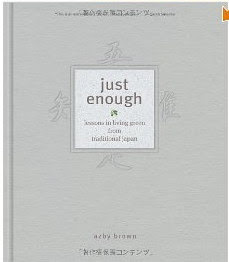 I have been reading Azby Brown's book Just Enough, lessons in living green from traditional Japan and I've also been glued to the news when I'm not in the wood shop. My own thoughts and prayers are with the Japanese people. We know that "things can get out of hand," which is a phrase we use to suggest that we no longer have human control. With the massive scale of the disaster compounded by the out-of-control nuclear power plant, things are clearly out of hand. As we struggle to get a grip, is it too soon to draw what lessons we can from the experience of others to make our own lives richer, more secure, and more fulfilled? The Edo period in Japan (1603-1868) was noted as a period of order, marked by excellence in arts and crafts, and environmental sustainability. The period was preceded by one of environmental collapse, and followed by the age of industrialization leading to Japan's role in WWII. Azby's book takes a look at that period to discover means through which we might reshape our own culture to become more sustainable and meaningful. Instead of assuming that someone who consumes more is necessarily better off than one who consumes less, "since consumption is merely means to human well-being, the aim should be to obtain the maximum of well-being with the minimum of consumption." I would add that if consumption is a means to human well-being, then making, fixing and creating are even more. I am convinced that the richer, more fulfilled and secure life we might seek for ourselves and hope for others would have something to do with our hands. If we were makers rather than merely consumers, how would that affect our lives? Your thoughts? My own are simple: make, fix and create. John Grossbohlin sent a link to an editorial in the New York Times, Let Kids Rule the School and Randall Henson sent a link to a boat builder, Douglas Brooks who is helping to preserve traditional Japanese boat building techniques. It seems all the information about Wisdom of the Hands is out there, but too few are willing to take the chance to do anything about it. This afternoon, I am engaged in my friendly competition with the Chinese, by making wooden boxes. This video is from Mark Thomson, Institute of Back Yard Studies, In Australia. The best course of action in response to disaster is to prepare our own skills and creative imagination, that we might be better able to see it coming, and be prepared to be of help when it arrives. Make, fix, grow, learn. These are the natural inclinations upon which human culture and economy reside. My own heart goes out to the people of Japan, and my thoughts are drawn to their plight. We live in an interdependent world. No man is an island unto himself. I am planning to have my students do a unit in box making, so I am preparing the tools needed. The first thing is a simple jig for marking out dovetail pins as shown in the drawing above. The steps in making this are shown in the series of photos below. 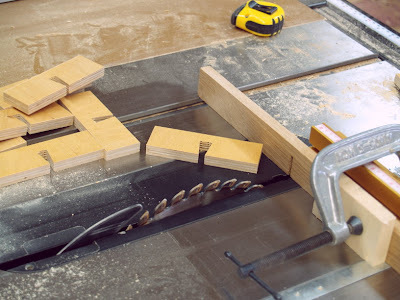 Tilt the sawblade to 8 degrees and cut the dovetail shape. Make a cut with the blade height set at 3/8 in. Set the fence 1/8 in. from the blade and rip to finish forming the template. Since childhood, I have been enchanted by the fact and the symbolism of the right hand and the left—the one the doer, the other the dreamer. The right is order and lawfulness. le droit. Its beauties are those of geometry and taut implication. Reaching for knowledge with the right hand is science. Yet to say only that much of science is to overlook one of its excitements, for the great hypotheses of science are gifts carried in the left hand. Of the left hand we say that it is awkward and, while it has been proposed that art students can seduce their proper hand to more expressiveness by drawing first with the left, we nonetheless suspect this function. The French speak of the illegitimate descendant as being à main gauche, and, though the heart is virtually at the center of the thoracic cavity, we listen for it on the left. Sentiment, intuition, bastardy. And should we say that reaching for knowledge with the left hand is art? Again it is not enough, for as surely as the recital of a daydream differs from the well-wrought tale, there is a barrier between undisciplined fantasy and art. To climb the barrier requires a right hand adept at technique and artifice. Jerome Bruner sent me an unpublished poem he had written. By surprises kindled from the left. I asked Dr. Bruner if it was about boxing, but it was actually inspired by a poem about death by W. H. Auden which if you think about it is exactly backwards from what happens in the ring. I have been having a difficult time knowing what to say in the blog as we witness such devastation in Japan. What can I say? With the right hand view of things, we create order. From the left, comes the sucker punch. Some are left standing while thousands have been laid flat. It takes time to process it all. How can we get a grip? And how can we find meaning in such tragic events. There is reason to think of the hands as being in paired team, left and right, that they are not separate in function. One hand holds while the other slices. To think the right hand has things covered on its own is a mistake. In all this there are things to do, that give real help and prepare for greater service. It might seem trivial and meaningless to some in light of the scale of the tragedy in Japan, but many American's are making paper cranes as a way of coping with their own sense of grief over the disaster. Perhaps in some small way, the project may help people of Japan to know that they are not alone. And some of those who feel powerless, may at least find some small sense of control in what happens through their own hands. In the Carrol County News this week, there was an article about a great program integrating construction arts and math called, If I had a Hammer, in which children get their first real taste of doing something real with tools with the promise to school administrators that it builds math skills. Some administrators might not see the value of making standing on its own and need the math rationale to see the use of it. But all math aside, the experience of having hammer in one hand and nail in the other is an essential building block for those who would be of service in coping with disaster, which is what we've made of American education by neglecting the hands. Watch out for what Bruner calls "surprises kindled on the left." Make sure your left hand knows what your right hand is doing, and vice versa. Make, fix, and create. 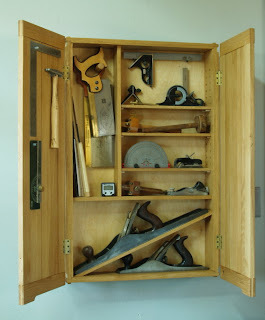 It is bright and beautiful this morning in Arkansas, and I was informed that I needed one more photograph for the book, a tool cabinet variation fitted out with a variety of tools. You can see the results in the photo at left. Last night we had a very successful art auction fund raiser for the Clear Spring School, so we are all pleased with the community support. As usual, it was a wonderful event with fine foods, and beautiful donated work and a wide variety of choices to bid upon. My walnut hall table garnered one of the highest bids, so I was particularly pleased to see it raise money for the school. Today, I continue to work on a grant proposal for the Wisdom of the Hands, and I'm finishing the sculpture I'd started as a restful break in celebration of completing my book, Making Small Cabinets. In making sculpture, unlike my cabinet making, there are few absolute precision cuts. What you do is what you get, and if what you've done reveals something of the wonder and beauty of the natural world, and in some small way opens an eye or two to look and see things differently, the work is complete. This first piece shown above is tentatively titled, "no, not Noguchi." Below you will find "twisted" and "torn." When I sell a piece, I'll find justification to make more. I have been watching a bit of the tsunami/earthquake destruction in Japan, and reading Azby Brown's book Just Enough. The video images from Japan are frightening. The order and sensibility of earlier times presented by Azby's book is a stark contrast to complete chaos. Somewhere between the images and imagination, we will find hope for all those affected by this tragedy. Make, fix and create. It is great practice for whatever comes next. My regular readers may just skip over this as there is nothing new, but I am working on a proposal for funding and I am gathering my thoughts. Or, if you like, you may comment below and add to my reflections on this issue. You may be able to add the necessary component to fine-tune my proposal. Pre-Socratic Greek philosopher Anaxagoras said that man is the wisest of all animals because he has hands. More recently mathematician and scientific historian Jacob Bronowski had said, "the hands are the cutting edge of mind." And so we wonder, can the hands also be the cutting edge of education and the leading edge of educational reform? How can we actually get a grip on the educational problems we face? Can it be that the hands provide the elusive handle on necessary reform? 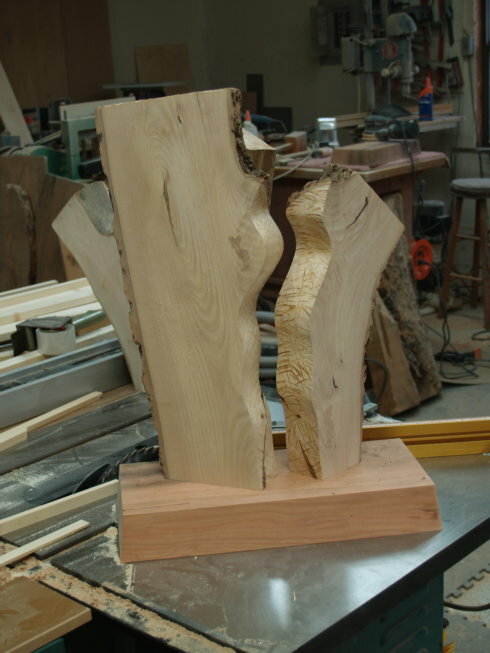 We started the Wisdom of the Hands program at Clear Spring School in September 2001 with the intent of proving the value of woodworking education as a component in an integrated curriculum. From that point, as a high school only program, we were led to start woodworking in the lower grades as a way of strategic implementation of the hands, based on the idea of early educational theorists, that the use of the hands was essential to the full development of mind. Since 2003 we have had wood shop in all grades from 1 though 12 as a means of purposefully engaging the hands of children in learning math, science, art, music, geography, history and literature. 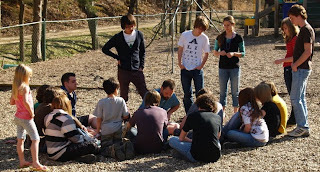 In 2005, inspired by the successful integration and effectiveness of the Wisdom of the Hands program the Board of Clear Spring School changed the mission statement to read as follows: Together, all at Clear Spring School promote a lifelong love of learning through a hands-on and hearts-engaged educational environment. Based on that mission, the curriculum and methods in use at Clear Spring School have been refocused on the purposeful integration of our children's hands in all classes and subjects to bring more effective learning. Those of us engaged in the arts understand the role of the hands in our own learning. We know that we learn more enthusiastically, more effectively, and to greater lasting effect when we learn hands on. This is known and widely accepted throughout the arts community, and widely ignored in modern American education. It is even worse in the schools most at risk. Overall, between 1982 and 2008, students having received arts education dropped from 65 percent to 50 percent, with the decline being even more severe for minority students, blacks and Latinos. And so, how do we bridge the gap and break the barriers preventing the vast field of American educators from grasping the strategic value of the hands? Now with 5 years of purposeful integration of the hands in practice throughout the Clear Spring School, in all subjects and all grade levels, the challenge becomes one of speaking the language of other educators, and to a larger audience, outside the arts, crafts and music disciplines. And so, how do we do that? The primary means through which educators view learning and school performance is through standardized testing. As unfortunate as that may be, testing will likely be a necessary part of the dialog that will be required to bring the value of hands-on learning to the attention of a larger audience. We are seeking support to measure our children's performance against others, but with other vital measures included: qualities of character and intelligence that are most often ignored in normal standardized testing, but are essential to children's later long term success. These are the important measurable matters of social adjustment, interpersonal problem solving, cooperative and creative problem solving, curiosity, and educational enthusiasm. In these particular areas, we feel that hands-on learning stacks up to our distinct advantage. It is what we see everyday and want to share with the world for the sake of all our children. significant decline in arts education. Math, and reading are important subjects, but it seems some educators don't understand that the arts are often what motivate students to have interest in the core subjects and often stimulate their interest in being in school in the first place. Tell those who have no interest in the arts to get out of the way and lets the arts help fix American education. Please forgive me for being rude, but number crunchers have made a mess of things and should be sent to the corner and be provided with dunce caps. Is that an extreme thing to suggest? Perhaps it is just my own exaggerated reaction what has gone on too long in American education. Persons with hand skills have been marginalized whereas all of the early educational theorists knew the value of hands-on learning. The hands after all, are the cutting edge of the mind, and the arts are the best ways to purposefully engage the hands in learning. I will be at home for the day, finishing the three pieces of sculpture I've been working on, and installing interior trim on windows we've had replaced in our home. 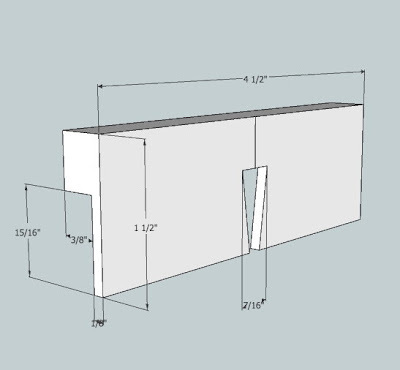 I will also be reviewing finished chapters of my new book, Making Small Cabinets. Tonight is our annual Clear Spring School benefit auction, and I've donated a walnut hall table from my torii series to be sold to the highest bidder. Elephants recently tested for their intelligence and ability to work with others, astounded scientists with their aptitude to learn and solve problems. Two of them even outsmarted the scientists who developed the test. Do we ever test students in cooperative problem solving? And if not, why not? We test instead for those things which are most easily measured and quantified... not for those things which our students most need for their future success. Student ability to engage in cooperative problem solving is the most essential quality for their success in the work place. But we arrange schooling as competitive rather than cooperative. We separate those who are mechanically inclined from those who have no mechanical insight. We separate those who are interested in math from those whose interests are literary or scientific, and in essence we take away the "pencils" upon which our children's futures depend. Today in the Clear Spring School wood shop, first, second and third grade students finished their dinosaur making project. For those who were already finished dinosaurs last week, we had "design your own dinosaur day." 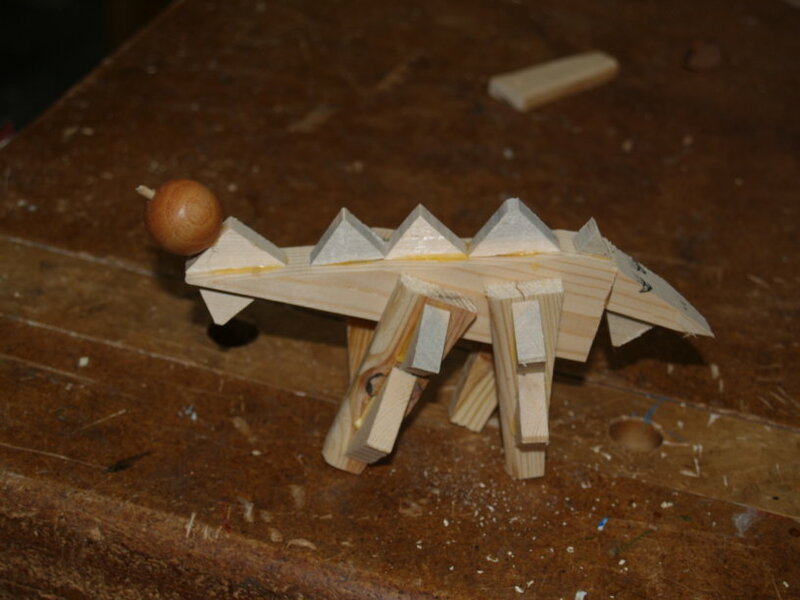 I had made a prototype which you can see in the photo below which I called a "dougasaurus." Can't we see why working together with real tools to solve problems through creative engagement is the most important thing we can experience in school? Our choice is either duh, or make fix and create. I enjoy talking with my young wood working scholars as they work. This morning we started a project in which students in the 7th and 8th grades will make their own t-squares and then do some simple drafting. I want them to begin to become familiar with technical drawing as one more means of personal and creative expression and communication. And so as we were finishing work, Wyatt told me that now we have things easy and have become lazy, and that's OK... He said that machines are designed to make things easier for us. Obvious, right? I wasn't prepared for what came next. His expectation is that they will continue to do so. And I have been on the earth long enough to know not to be quite so optimistic. 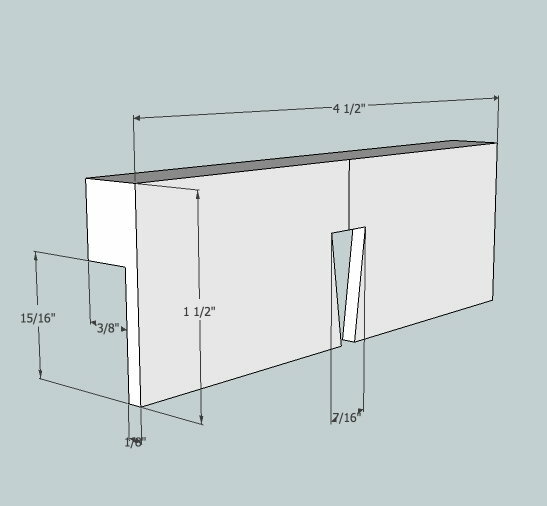 As a woodworker, I've learned that not everything goes just as planned or as hoped. A well earned skepticism leads one to BE READY with PLAN B. Is there some benevolent intent in the design of labor saving machinery? Do the makers of such things intend that our lives be made easy, and if so, how will they extract payment for their efforts and what value will we extract from the loss of skill and the descent into laziness? Can that journey be taken at no risk? One thing we know about smart tools is that they have no care or regard for the person given the task of operating them. Machines have no care about the personal characteristics of their operators. Give a man a simple tool like a saw or hammer, and he will have some autonomy in how the tool is used. Whether he hits the nail and whether the nail finds home in one strike or a series of blows or bends flat and requires extraction is subject to his skill in the use of the tool and the benevolence of his intent. As tools become more complicated, the level of human autonomy is decreased and the operator becomes less an agent of free will and more subject to the control by those who own the machines. And so what is so deeply disturbing to me about the optimistic assessment of our relationship to ever decreasing skill and ever increasing complication in our tools? Can you see and bear witness to the loss of human autonomy and decline of democratic values? "Is sustainable life worth the effort? The problem is that none of us has ever lived in a sustainable society so it is hard to imagine what it will be like." But it is important that we think about how we can live more harmoniously with the earth, and its no longer so seemingly abundant resources. This book, Just Enough, is a new favorite book. The thoughtful illustrations make me think of the Whole Earth Catalog. Each page offers material demanding reflection. And it is important that, as we move into a renewed view of responsible craftsmanship, that we have some examples to observe and reflect upon. Azby presents one in a lovely book. ABC television has done a series on American manufacturing that is discussed in this article MIA: Made in America or Missing in Action? It can be a tough choice if you are poor in America, whether to buy something from China, far cheaper relative to American goods, or something better crafted to last generations made by an American... Let me correct that. There actually is no choice for some or for most. And of course, we know that the better choice is not to buy at all, but to make, make do, fix up old, and to invest thereby in the development of skill. Buy something and it will help to fill up your house. Buy something cheap and it will help to fill up your house with cheap meaningless stuff. Make something and you will develop skill and add to the cultural and economic strength of our nation. It is interesting at this point, that consumers give very little thought to where things come from, or who made them, and my point is not to disparage Chinese made goods. In the ABC TV show, Made in America, a family home was stripped of all those things that were not made in the USA, and the family found that their home was nearly bare. There is much that can be said for making things yourself, and for knowing who made the things that you did not. Each and every object can represent relationships with others who have grown in skill and craftsmanship due to your investment in them and their creative efforts. Those investments are the foundation of sustainable community. As we watch what some describe as decline in the US, we should at least be aware of its cause: carelessness, a cultural descent to the bottom line, in which people are far more concerned with getting by cheap than with building a community of craftsmen. Today in the Clear Spring School wood shop, the 4th, 5th and 6th grade students worked on looms as shown in the photo at left. first hand, second hand, 3rd opinion. When we know something from our own experience it is known first hand. When we learn something as portrayed from the experience of another, we call it second hand. We know that second hand is subject to bias, misunderstanding, misinterpretation and deliberate distortion. That is why when someone is seeking a medical diagnosis, we look for a second or third opinion to make certain important medical decisions are based on true clarity. Shortly after I had graduated from college, I attended a poetry recitation in Memphis, TN. A college professor had wanted me to pursue the poetry I had been writing for his class, and the idea of myself as a "poet" had not completely escaped my imaginations of self. The poetry reading did that for me. I listened politely as budding poets and their more experienced advocates told bleeding heart stories that were dredged from the experience of others. No first hand, real stuff in sight. From my own perspective, as one who likes reality, and truth, a poet needs to be engaged in real experiences of his or her own and poetry without those falls flat. If you are a regular reader, forgive me for repeating, but the human hand is constantly seeking the truth and thereby finding it. We live in an age of exploding "journalism" with huge distortion of information and opinion. Where is the first hand? I have been brain storming an idea. What if those who wrote books were to print them (on letterpress) and bind them themselves? The process would be concurrent so that the hand and press might give shape and cogency to the language used. Can you see the potential for the enrichment of the whole of human culture? If you have been reading here for just a short time, you will know that the hands have left their mark on the entirety of human culture even though their labors have been denigrated and displaced from American education. We have thus become a nation of commonplace distortion and manipulations and we are missing the intelligence that arises from the hand's engagement in creative thought. Let's reunite the hands with learning, so that what our children know will be connected first hand. Make, fix and create. A reader mentioned that his research indicated that Homer Lane had attended sloyd teacher training in Boston and had taught sloyd before working with penal reform in Detroit and founding the Little Commonwealth School in the UK. He was described by A.S. Neill as being the primary inspiration for Summerhill. These may present interesting areas for reader investigation. "We might say, that the useful man must be the predecessor of the ideal man. Everyone must be able to do some good and thorough work though it be of the simplest kind, of one sort or another. Not till then will he be able to only to satisfy his fellowmen and be of use to his country, but also to make his own life of value to himself. And in the same measure as our lives gain value for ourselves do we attain power to reach a higher stage of culture." Quite sadly, there are seem to be few educators currently in the US who seem to understand this. Diane Ravitch was John Stewart's guest on Friday, March 4. It should be watched by everyone interested in the ongoing debate about American education. Stewart's comments prior to the following interview are very much on the mark and the full episode can be viewed through the link above. In the meantime, Make, fix and create. Now that my seventh book is in the hands of the publisher for completion and printing, I get to play in the wood shop with sculpture. I am continuing a series, with this one being tentatively called, ripped, or twisted and torn. The base is cherry and the sculpture, ash. The American Swedish Institute is starting A Year of Swedish Slöjd: Handcraft Workshops for Youth and Adults. The first sloyd teacher in the US had taught in Minnesota in a church basement, and the important point about sloyd was not only the useful and beautiful objects made, but the growth of intelligence and character the practice was known to foster in children and adults. "On December 8, 1884, in the basement of the Augustana Lutheran Church of that city (Minneapolis) Erikson began teaching a class in Swedish sloyd. This is supposed to be the first lesson in Swedish sloyd taught in America." Time magazine this week wonders whether we are a nation in decline, and I can suggest that the beginning of decline was when the powers that be decided that to not be a nation of makers, and to not be a nation of skilled craftsmen would be OK. Throughout the previous administration, we watched our young men go to unnecessary war in Iraq, while almost all our necessary and unnecessary consumer objects were purchased from China. American politicians, being completely out of touch, decided that was just fine. They did not lift a finger (as they knew not how to do so), but rather continued closing the last shop classes in American education. Reader Reuben sent a link to an article describing the continued growth of the Chinese manufacturing sector. Good Luck Competing Against Chinese Labor Costs Mfg. Job Growth In China Is Headed Up, Not Down; 109 Million Mfg. Workers In China Dwarfs Number In U.S. But my point isn't that of trying to compete with the Chinese, but to improve the qualities of our own lives. To live without creative capacity is tragic. There are things that each of us can do to remedy our national plight. "Handwork, such as can only be learned in its own narrow field, must precede all life, all action, all art. To know one thing well and to practice it, gives more culture than a half-knowledge of a hundred things. -- Goethe"
Make, fix and create. DIY, TIY. One of the great advantages of having a blended school, grades 1 through 12 on the same campus, and preschoolers nearby is that the situation presents opportunities for the older children to take on teaching responsibilities. In chemistry, that means that the students prepare demonstrations for the lower classes. As David notes in a comment below, he and others (and perhaps we all) "learn the fullest by teaching others." Just in case any of you wonder how I became a competent woodworker, I can assure you that it wasn't only by hanging out alone in the wood shop. One of the techniques used at Clear Spring School to increase interest in reading among those lacking in reading confidence is to have them read to younger children. It allows them to return to practicing on easier materials, to gain greater confidence and reading competence, while also setting an example for the children in the lower grades. Through all of this inter-grade interaction, the Clear Spring School campus becomes much more like a family than a school. If you want to direct your donation to my program in the wood shop, write WOH or wisdom of the hands in the memo space. All donations to Clear Spring School are tax deductible and will support hands-on learning. DIY, TIY, make, fix and create. By teaching what you learn, you will learn what you learn at its fullest and deepest levels. Bill Forrest sent in the following link which my readers may enjoy: Planting Seeds. As we all know, there is a difference between knowing something "as it was presented" and knowing something "first hand" in which the experience is our own. That is the cutting edge between real learning and the schooling we settle for in American education. The same thing is true for creating an understanding of what I have come to know as the experience of Clear Spring School. In order to really get it, one needs the experience of being there, and even I, who should be used to it by now, tend to be affected by the overwhelming gentleness of it all. Every few years we go through the process of re-accreditation with ISACS, the Independent Schools of the Central States, part of NAIS, the National Association of Independent Schools. The process requires an examination of our school, from the very top, to the very bottom, and it's a lengthy one, requiring three years, start to finish. So it seems that just when we get done and have a breathing spell, we are at it again, making sure that Clear Spring School measures up, is true to its mission, and is the best that we can be. That process begins with an examination of the mission statement, the vision and the philosophy of the school. As long as I've been associated with Clear Spring School, we have talked about "the Clear Spring Way" which is a catch phrase that covers many of those things which we assume visitors, students and staff, can see or experience for themselves. We know it includes both an academic component and one that involves character. We are discussing it among teachers and students in order to nail down exactly what it means. It will be interesting to hear from many of the students what they think of as "the Clear Spring Way." If you visit the campus, you will see evidence that something is different. You will see the children all playing together, in all grades. You will see special bonds of affection and trust formed between first graders and students in high school. You will see interpersonal problems solved without intervention, and you will see self-motivated educational enthusiasm at all levels. In the photo at left, as we observed a high school chemistry experiment, you can see curious 2nd grade students looking on. After a time, other lower elementary school children had gathered in to nest in laps of some of the high school girls, a common thing at CSS, where age rarely gets in the way of learning. The high school students often present their chemistry findings to the scholars in the lower grades. And so I can do my best to describe that for you. But there are some things you would have to see for yourself. When the hands-on connection is made, learning is at its deepest level, greater educational enthusiasm is brought to bear, and what you learn sticks like glue. DIY and teach it yourself, too. Your own children are likely missing something very important, their creative problem solving capacity. Make, fix and create.